The Odisha Police's statement came in response to media reports that claimed that Abhijit Iyer Mitra has been arrested for his year-old Twitter post about the origin of rasogolla. Odisha Police said two cases were registered against Abhijit Iyer Mitra for his offensive comments. 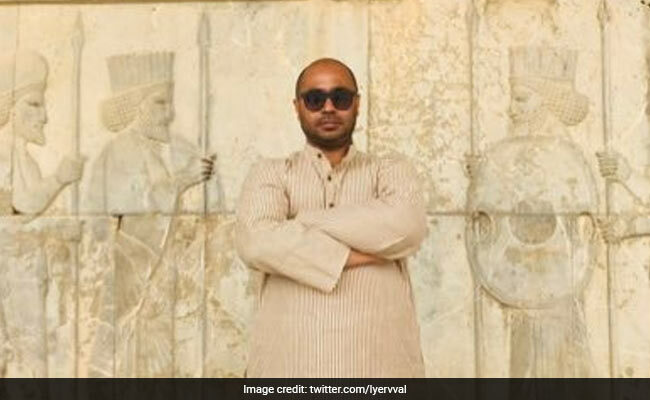 The Odisha Police on Saturday said Delhi-based journalist Abhijit Iyer Mitra was arrested not for his Twitter post on rasogolla, but for hurting the sentiments of the Odia people, among other reasons. The Odisha Police's statement came in response to media reports that claimed that Mr Mitra has been arrested for his year-old Twitter post about the origin of rasogolla. "This is absolutely false and mischievous. His frivolous comment on rasogolla is not at all a ground for legal action against him," the statement said. It said the reports were part of a malicious campaign aimed at maligning the state police by "propagating a false propaganda" and to cover the "actual deeds" of Mr Mitra. The Odisha Police said the accused journalist was arrested on the basis of FIRs lodged against his "derogatory, mischievous and objectionable comments" on art and culture of Odisha, Lord Jagannath and the Odia community as a whole. They said two cases were registered against Mr Mitra for his offensive comments. A case was registered at Konark police station in Puri district on September 19 under various sections of IPC, Information Technology Act and Ancient Monument & Archaeological sites & Remains Act, it said. On an another complaint at Saheed Nagar police station here, dated September 20, 2018, a case was registered under various sections of IPC and IT Act. "The malicious and objectionable comments by Mitra have outraged feelings of people of different religions (Sec 295-A IPC). The remarks have also promoted enmity between different groups on grounds of religion and are prejudicial to maintenance of harmony (Sec 153-A IPC)," the statement said. "Moreover, Mitra uttered the words with a deliberate intent to wound the religious feelings (Sec 298 IPC)," it added. Besides, Mr Mitra's malicious and defamatory comments have also hurt the religious feelings of devotees of Lord Jagannath. "These comments are also detrimental and prejudicial to the peaceful and harmonious communal environment of the state. He further incited the public by posting objectionable word 'sala' for the entire Odia community," the police said. In September, Mr Mitra had posted a video on his Twitter handle where he "criticised Odisha, its people, Lord Jagannath, Konark temple and also Odisha lawmakers." He was arrested on Tuesday after he tendered an unconditional apology before a House Committee of the state Assembly over his allegedly anti-Odisha remarks. "Mitra was arrested and produced before court which sent him to judicial custody for 14 days," the statement said. Subsequently, on a petition by the Investigation Officer, the court granted two days police remand for his custodial examination on Friday, it added. Elections 2019: PM's Language Lesson For Rahul Gandhi On "Calling All Modis Thieves"
Odisha Pardons Journalist Abhijit Mitra Jailed For "Derogatory Remarks"